Artworks are never just artworks! We invite you to register your artwork by filling in the Art Registration form online. This is not a requirement – unless you are intending on burning your artwork and/or want to apply for a Creative Grant – but it is useful! 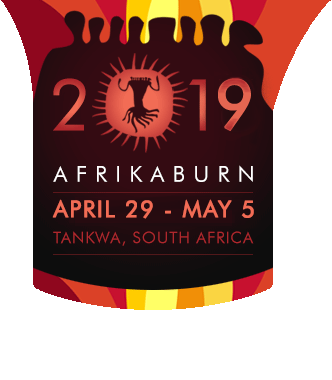 The form is designed to help you work through all the complexities of bringing art to AfrikaBurn. 1) create a Burner Bio profile as a user of our site. If you’ve already got a Bio, and have created your Collective, then you can go ahead and register your Artwork here! If you miss the deadline for artworks and performance registrations, it doesn’t mean that you’re not allowed to bring art to AfrikaBurn – it just means that you won’t have a pre-allocated space and will not be included in the WTF Guide (our printed event guide that participants receive on arrival).